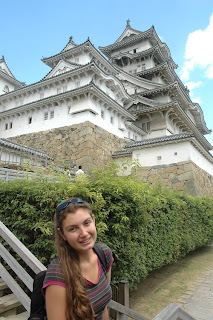 After visiting Kyoto, Maria and I took a train to Himeji in order to see its famous Castle. Perhaps the most interesting castle in Japan. Once again we used a Juu-Hachi-Kippu ticket for the trains which made the traveling expenses much cheaper. Trains in Japan are very punctual and I could plan all the train routes very easily thanks to the website hyperdia (click English) and my mobile Internet :). 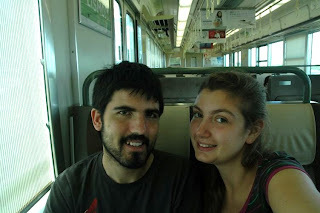 I love trains since I started using them to go from the village of Renedo to my University in Cantabria (Spain). 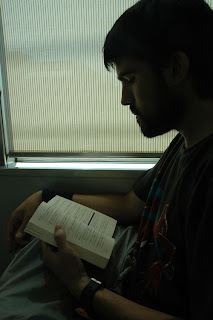 Back then, I got used to reading and studying during the journey and it seems there are habits you never lose completely. 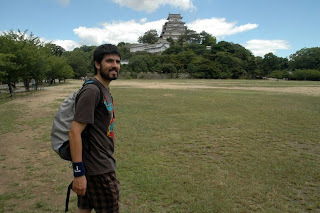 Himeji Castle was really interesting. Even for me who likes more the traveling part rather than sightseeing buildings or monuments. We entered inside the different departments of the castle, imagine what the rooms were like in the past, etc. 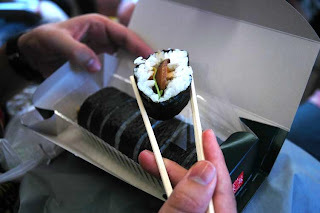 As we didn't have enough time, that day we ate o-bentou in the train. 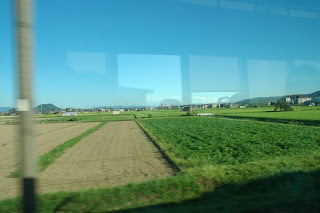 The views from the train back to Nagoya were very relaxing. Finally some rice crops and fields instead of so much concrete and urbanized areas.